Ahmed Daak has joined Sanofi Genzyme as the Global Medical Director to serve as the main point in Sanofi Genzyme Medical organization to provide strategic input/guidance into the development and execution of the medical strategy for sickle cell and Beta Thalassemia. As the in-house scientific expert, he provides scientific and medical expertise in the areas of focus for the company and working in close collaboration with cross functional colleagues in Regulatory, Market Access, Clinical Development, Commercial, Corporate Affairs, Patient Advocacy and other key cross functions. Before joining Sanofi Genzyme Dr Daak served as the Vice President of Medical Research and Clinical Development of Sancilio Pharmaceuticals Company (SCI), Florida, US where he led several clinical development programs in sickle cell disease and other therapeutic areas. Before joining SCI, Dr. Daak was working at Harvard School of Public Health (HSPH), Harvard University, USA as Tekemi Research Fellow. His work at Harvard involves studying the genetic epidemiology of sickle cell disease, (SCD), modifiers of the disease severity, socio-economic impact of the disease and development of workable models for comprehensive preventive and management program for the disease. 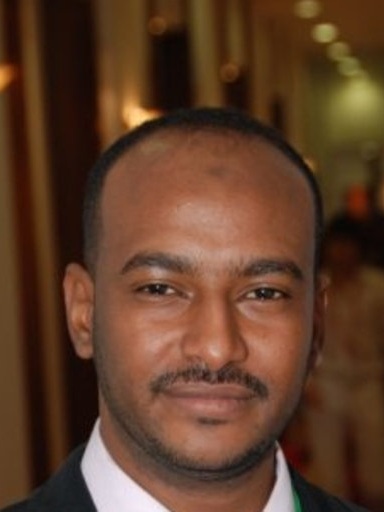 Dr Daak also worked as post-doctoral Research Fellow at the Lipidomics and Nutrition Research Center, London and was an Assistant Professor of Medical Biochemistry and senior register of Chemical pathology, Faculty of Medicine, at the University of Khartoum, Sudan. He also severed as a senior clinical fellow at the Sickle Cell Referral Clinic in Sudan for 6 years. Dr Daak is affiliated Research Professor at the Center of Molecular Biology and Biotechnology (CMBB), Florida Atlantic University (FAU), USA, Florida. Dr Daak has a Bachelor degree in Medicine, Bachelor degree in Surgery (MD), Masters in Medical Biochemistry, in addition he has a Ph.D. on Biomedical Science from London Metropolitan University. Dr. Daak is an active member of the American Society of Haematology (ASH), American Socity of Pediatric Haematology/Oncology (ASPHO), Foundation of Sickle Cell Research (USA), National Lipid Association (USA), International Society of Fatty Acids and Lipids (ISSFAL) and American Society of Gene and Cell Therapy. Based on his significant contribution in the field of lipidomic research and the role of bioactive lipids in sickle cell disease pathophysiology and potential therapeutic effects, he was granted the New Investigator Award of ISSFAL 2014 at Stockholm.